This section of the Sepher Yetsira, subject to redaction by both 17th century Jewish Kabbalists (Isaac Luria and followers) and 19th and 20th century Anglo occult researchers (the Golden Dawn and followers), elaborates on Adam Kadmon's existential space by developing the formative letters through the three spheres: the universe, time/transformation and the individual -- space, time and soul. If the six directions are the Sephirot 5-10, where is the holy sanctuary? There are several problems with diagrams like this. 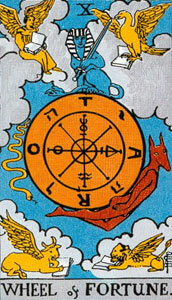 Distributing the Tarot and therefore the signs, planets and elements on "paths" between the flat Sephirot ignores the fact that seven planets are part of the specification (in this case, B'Olam, in the Universe) of the Sephirot themselves. Then, there exist connecting paths in the Cube of Space that are not visible in the 2-D Tree. But the ramifications of mapping the 3-dimensional system of the Sepher Yetsira onto the 2-dimensional system of the Tree of Life are seldom considered and the differences in emanative geometries (Sepher Yetsira: two-way inside-out, Tree of Life: top-bottom) are overlooked. If we are "strict constructionists" about the Sephirot of the Sepher Yetsira, we will observe that Chapter 4:3 establishes a correspondence between the Sephirot-Belimah of Chapter 1 and the 7 double formative letters through the 7 Extremities or Depths of Directions. Thus, planetary assignments begin with the 5th Sephirot, after the inner space of Adam-Kadmon has been established and continue through 10 to complete the 6 outer directions. Sephirotic systems that place a non-lunar planet higher than the 5th Sephirot (e.g. Saturn at Binah, the 3nd sephirot) are not based on the cosmology of the original Sefer Yetzirah. When a higher-dimensional system is mapped onto a lower-dimensional one, it loses degrees of freedom or connection paths. 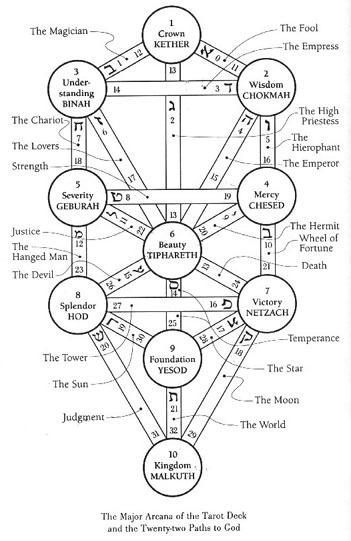 Perhaps the obviousness of mapping 22 paths onto 10 flat Sephirot has obscured the fact that paths exist in the cube of space that do not exist on the tree of life. In the dimensionality of the cube of space, all 22 letters are distributed on the face and edges of the cube formed by the Sephirot 5-10 plus the inner axes and holy sanctuary determined by the first four Sephirot. This geometry yields a far different topology of paths than we see on the tree of life. 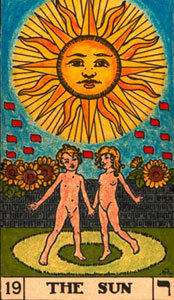 In addition to the variation in the formative letter/planetary assignments, the sepherotic/planetary assignments of the Sepher Yetsira are often ignored, either via displacing the planets upward into Adam Kadmon's inner space and/or transforming the 10th Sephira, Malkuth in Zoharic terminology, into an element called earth, for which no Hebrew letter exists as it is not a yetziratic/formative element. If the earliest versions of the Sefer Yetzirah are followed, the planets define the six extremities of the Cube of Space by the Sephirot 5 through 10. This means that Tsedeq/Jupiter is formed by the sixth Sephira, Tipheret and Nogah/Venus is formed by the 10th Sephira, Malkut, among other points. It is crucial that Lavanah/Moon, formed by Tav in the center of our psyches, be found in its proper place, in the Holy Abode. We have already emphasized that it is hopeless to read the Sepher Yetsira in translation, or even in Hebrew. It is a totally encoded text and must be understood letter-by-letter in its native, structural/energetic, formative/semantic, language. There is a reason that Bayt forms Shabatai/Saturn, and not some other planet, and it is found in the interior structure and relationship of those equations, as well as the related structures like contrary quality and zodiacal home. Thus we have the usually overlooked "bestowed (the) kingship on Aut (Bayt) in (by) Hhaim". 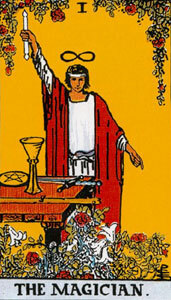 "Make Gimel king, bind a crown to it, and with it depict Jupiter in the Universe ... "
The 5th Sephira is the only twice-sealed (by Yod-Hay-Waw) Sephirot. The contrary qualities of Bayt/Shabatai are Hhaim (alive) in Ghedi/Capricorn and Mot (death) in Deli/Aquarius. All these equations are interrelated and must be understood together, where they interconnect and auto-correlate. The seven double letters form two triads with Tav/400 at the center. The primary triad, composed of the archetypal double letters, Bayt/2, Ghimmel/3 and Dallet/4 total 9, equivalent to Tayt/9, a primary cell or formation. The secondary triad, Kaf/20, Pay/80 and Raysh/200 total 300, equivalent to Sheen/Rouhh Elohim. Cosmic resistance, Tav/400 at the center adds 400 making 709 for the simple gematria of the 7 doubles. 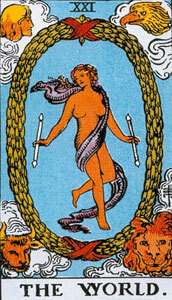 The initial formation is permeated by the Breath of God and projected into cosmic indetermination. This is one way of understanding the purpose of the 7 doubles letters as formative archetypes in the process of creation. The positions and dispositions of the primary triad at the birth of the subject determine the course of psychological and material development/evolution during the lifetime. The secondary triad provides the existential (20) and cosmic (200) containers and unstructured energy (80) for that development. It is formed by interpentration axis of the 9th and 10 Sephirot, sealed by Waw, and the physical energy (Sun/Hamah, formed by Kaf) of the life axis sealed by Hay at the 8th Sephira. The primary triad, all archetypal formatives, points towards Meadmim/Mars, the psychological face of the cube, and Adam Kadmon's future. The secondary triad, all existential and realized formatives, points towards the Hamah/Sun and physical energy face of the cube. 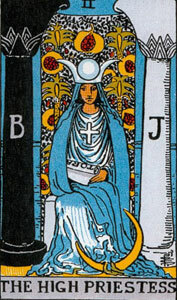 The first triad is all outer planets; the second is all inner. Both of these triads interpentrate at the center of the cube, Tav/400, Lavanah/Moon, the Holy Abode or Kernel and the center of the human psyche. The gematria of the primary triad (2+3+4) is 9, representing an archetypal formation or cell. The gematria of the secondary triad (20+80+200) is 300, Sheen and Ruahh Elohim, Breath of God, and consists of two existential numbers (20 and 80) rooted in the cosmic container (200). These energies meet and unite in the center, cosmic resistance, 400. The total of the interaction is 709, the cell/formation projected into comsic indetermination (700). These equations must be solved and related to each other in the matrix of linked categories. Why is Mars/Meadim our future? Why is it formed by the 7th Sepherot and the letter Dallet? Why are its contrary qualities hhockmah/wisdom and olet/folly? Why are its homes in 5/Toleh/Aries and 50/'Aqarav/Scorpio? 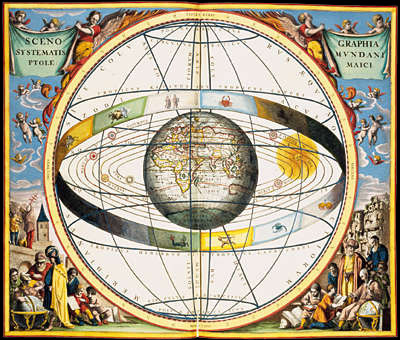 Little attention and less justification seems to be paid to the fact that all departures from the model of planetary/sephirotic correspondences given by the earliest versions of Sepher Yetsira violate the ancient and then classical, Ptolemaic, geocentric order of the heavenly spheres. Another departure from the classical model is found in the solarized Christian hermetic tradition, which apparently wanted to put the Sun of God in the center of the hexagram. This displaces the Moon to one of the six extremitities and is based on an incomplete understanding of the tradition being adopted, especially the significance of Tav. It is also important to keep in mind the binomial nature of six of the seven doubles. The planetary structures are complementary in nature and must be analysed in pairs. 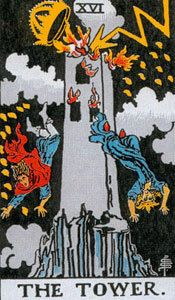 The energy flows are one way but appear dual to us according to our orientation to them. For instance, the fifth Sephirot is twice sealed with Yod-Hay-Waw and forms Shabatai/Saturn in the universe with Bayt/2, "created in or by life/Hhaim." The sixth Sephirot, sealed once with Yod-Waw-Hay, forms Tsedeq/Jupiter with Ghimmel/3 and together they constitute the existential axis. The Sephirot of Life (5) forms the form of Adam Kadmon's body (Bayt/2), where the cosmic fire of Shabatai/Saturn pours down on his head and provides complete release and freedom (when alive in Ghedi, formed by Ayn/70) while the Sephirot of Union (6), where the cosmic energies of Tsadde/90/female and Qof/100/male are combined, reflects (3) back the life (Hay) in copulative union (Waw) with the Spirit. The spiritual body can be either alive or dead. 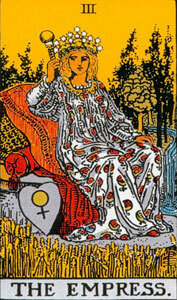 the energy of the psyche can be either uncertain or at peace.